Backgrounds with smiley faces can be used to create many DTP projects. Some of these projects include social networking comments, birthday cards for kids and adults, party invitations, and scrapbook frames. In this guide, we are going to take a look at the 8 smiley face backgrounds I have created using Adobe Fireworks. You are free to use these backgrounds for your DTP projects, as long as it for a non-commercial venture. 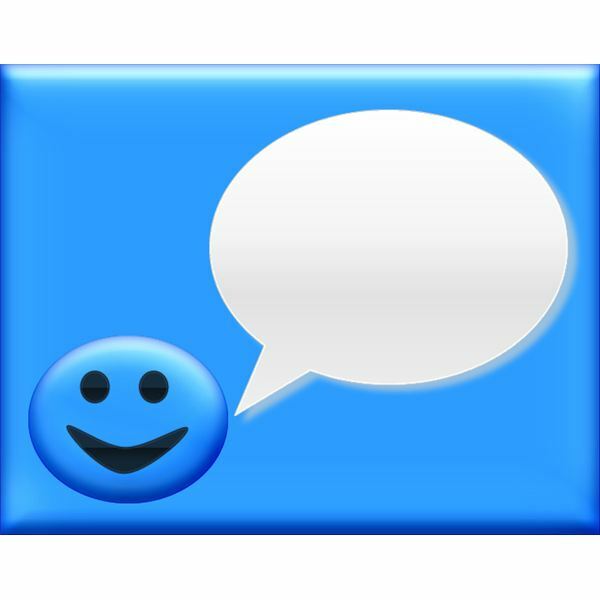 The first smiley face background we will take a look at is my Blue Smiley Talk Bubble background. With this background, I created a blue beveled background, drew a smiley in the left corner, and applied the same bevel to the smiley. Then I added a large talk bubble to the smiley. This background will work great as a social network comment, greeting card, or an invitation. You could put your message in the talk bubble to make it appear as if the smiley is talking. The next background is my Glass Heart Smiley background. With this background, I created a black and gray gradient background. In the corner, I added a pink glass smiley with the smiley's eyes in the shape of hearts. This background would work great with many things like greeting cards, social networking comments, invitations, and photo frames. You could insert your photo into the background using a program like Fireworks, Illustrator, or Photoshop. If you place the photo on top of the background, you can use a bevel inset effect to make it appear as if the background is a photo frame. My next background is the Black and Pink Smiley background. The background is black and gray with a ray texture. 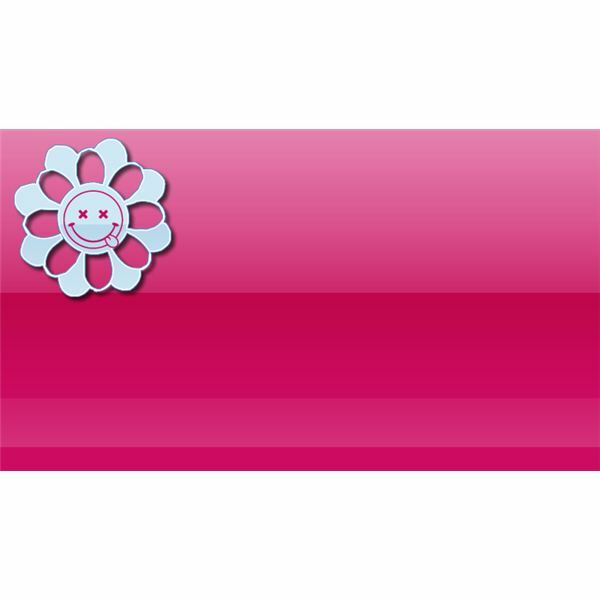 The smiley is positioned in the bottom-left corner and has a pink plastic effect applied to it. The smiley also has a bow on top of her head. This would make a nice photo frame by using the technique I mentioned above. You could also add text to this background to create a cute greeting card or girl's birthday party invitation. Next we have the Pink Smiley Flower background. With this background, I created a pink gradient background and placed the smiley in the top, left corner. I first created a flower and then placed the smiley in the center of the flower. I then turned the color of the smiley to pink, to match the background. You could use this background as an "I Love You" card or comment to send to someone. You could use the background as a party invitation as well. 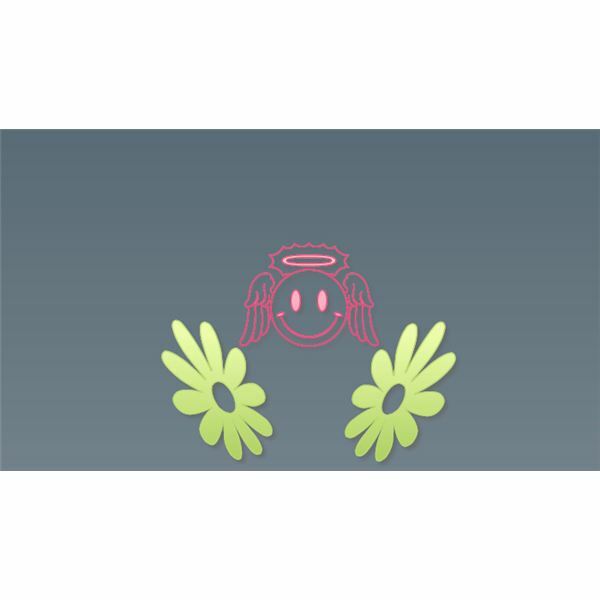 The next smiley face background in this list is the Angel Flower Smiley background. With this background, I created a blue background and added two green flowers with a pink angel heart between the flowers. This background would probably work best for a simple greeting card or as a comment for a social network site. You could add text to create a cute message to use on a site like MySpace. You can add text and create a cute greeting card to email to someone too. The next background I created is the Brown Smiley Feet background. This is a really cute background. The background part of it is a relaxed color brown. In the bottom corner is a cute little smiley with feet. The smiley is a dark brown color to make it stand out. 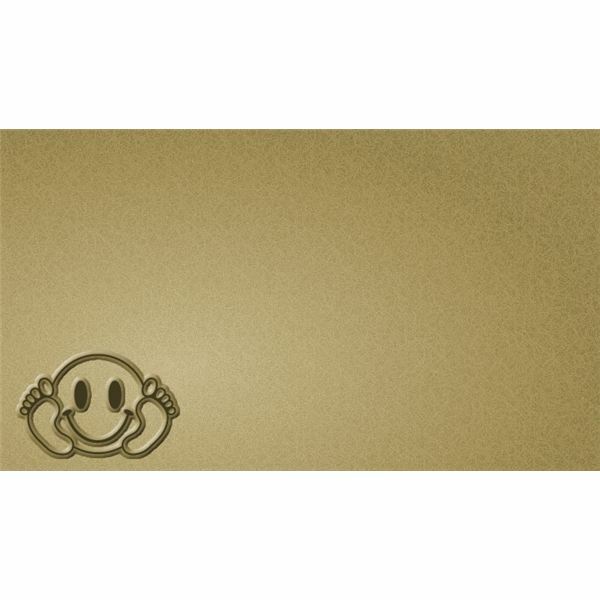 This smiley face background could be used for a number of things. For starters, it will make a really cute background for a social networking comment. It would make a great background for a greeting card or party invitation as well. You could also use it for a photo frame by using the bevel inset effect. My next background is the Smiley and Flower background. With this background, I used a solid blue color with beveled edges. I then created a cute flower graphic to place in the bottom, left corner and placed a winking smiley in the top, right corner. 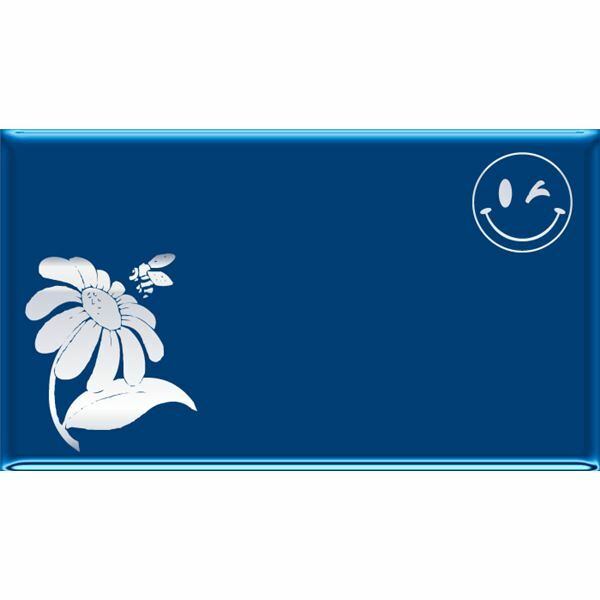 Both the flower and the smiley had a white and gray gradient applied to it. This background would probably work best as a simple greeting card or a social networking comment. It may work as a party invitation. You should have the room to add party information to it. The last background is the Blue Angel Smiley background. This background is real dark and has a simple imprint of a smiley with wings and a halo. I made the outline of the smiley just a bit lighter in order for you to see it. This background would work great with greeting card projects, party invitation projects, comment projects, and photo frames. If you wanted to use it as a photo frame, you could shrink it down a bit and add the bevel inset effect to make it look like the photo is actually in a frame. Or why not use it as a striking option when digital scrapbooking. These smiley face backgrounds were designed and created by the author of this guide using Adobe Fireworks.